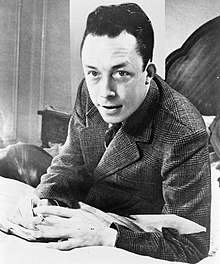 Albert Camus (November 7, 1913 – January 4, 1960) was an Algerian–French author and philosopher. Simple: Fall is like spring because every leaf is beautiful like a flower. "We have exiled beauty; the Greeks took up arms for her." What it means: The Greeks are ready to fight for Helen because she has been taken away. What it means: By rebelling you become more aware of things. ↑ Evan Esar (1995). 20,000 quips & quotes. Barnes & Noble Publishing, 54. ISBN 1566195292. This page was last edited on 1 February 2010, at 20:13.